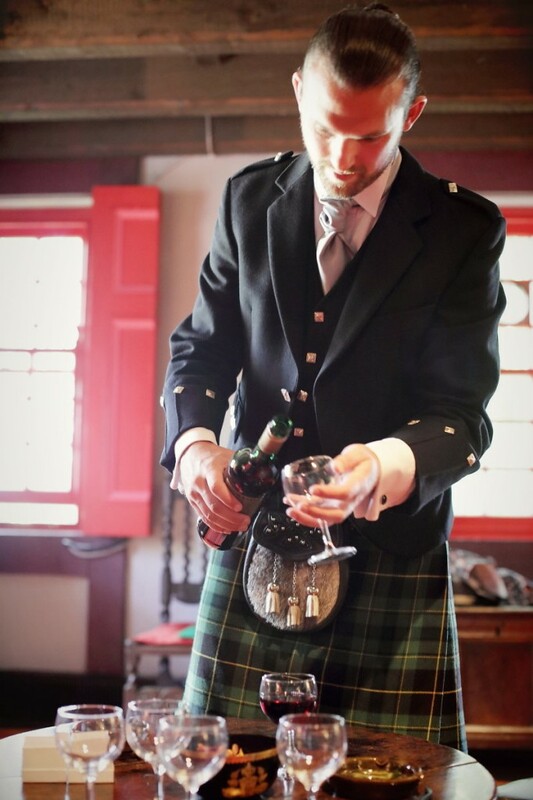 For groom Mikael McNamara there was only one castle he wanted to have his Ireland Wedding in – Knappogue Castle in County Clare, because of its heritage back to his namesake the MacNamaras. The Irish castle was built by Sean MacNamara in 1467. 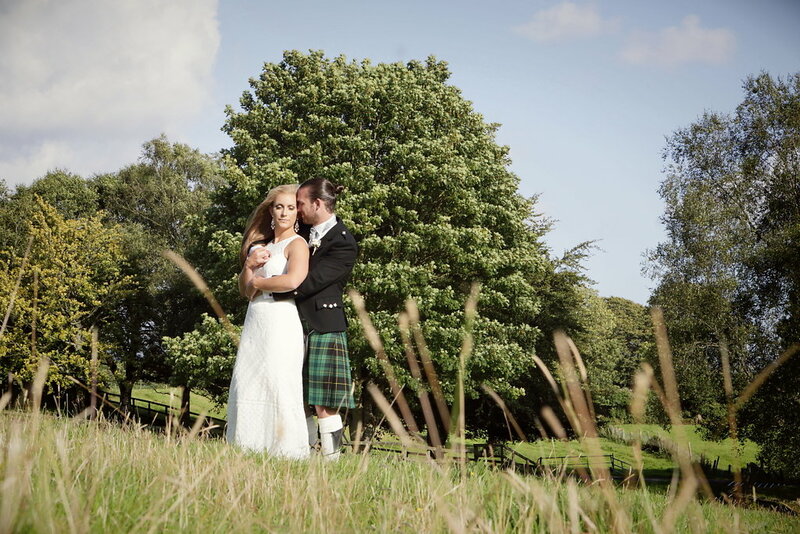 Lucky for him, his bride Brianne instantly fell in love with the idea of getting married in an exclusively rented Irish castle, surrounded by their closest friends and family. So together with Dream Irish Wedding chief wedding planner “Michelle” they set about making their Castle Wedding in Ireland a reality. 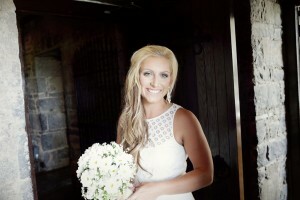 A Rustic Wedding Was Celebrated In A Charming Castle! Brianne wore a stunning couture wedding gown by Vera Wang and had her hair in a messy fishtail, suiting the rustic theme the couple chose for their wedding in Ireland. The brides beautiful hand tied bouquet complimented their classic colour palette of white & ivory and included dill, white chrysanthemums and white statice flowers. 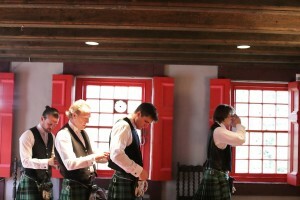 As part of their family heritage, the groom, his groomsmen and his father wore kilts, cut from the Family Tartan. 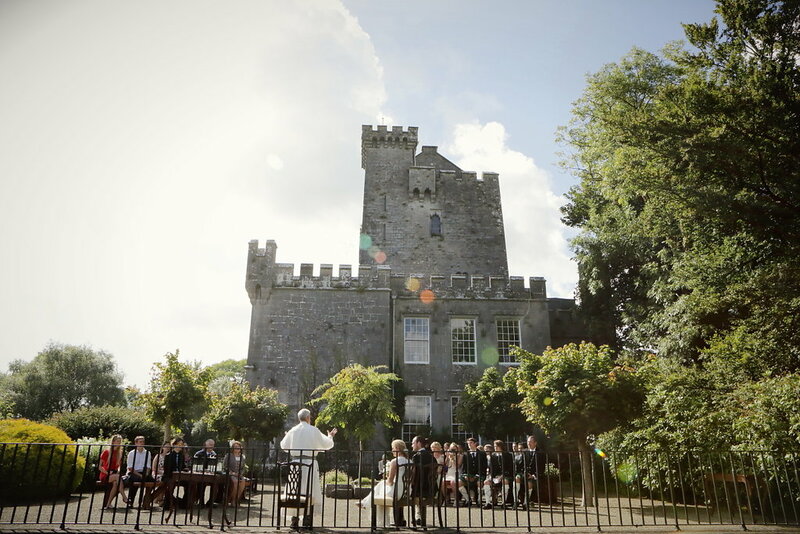 The ceremony was held outdoors in the beautiful gardens of the Irish Castle. A warm afternoon sun shone throughout the wedding ceremony, which was accompanied by beautiful harp music, ever present at the castle. Celtic Monk Dara served as officiant for the Ireland wedding ceremony and included the traditional Irish hand-fasting in the ceremony. After the ceremony, the couple slipped away to the State Rooms to say their private vows and invited only the photographer to capture the beautiful and intimate moment. While the guests enjoyed a private pre-dinner cocktail reception indoors in the castle, the couple explored the grounds of the castle for their wonderful photoshoot. 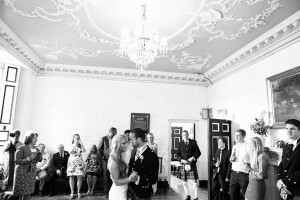 They enjoyed their first dance in the MacNamara drawing room just before dinner. The guests were treated to traditional Bunratty Irish Honey Mead, “the drink of love”during the pre dinner cocktail reception. 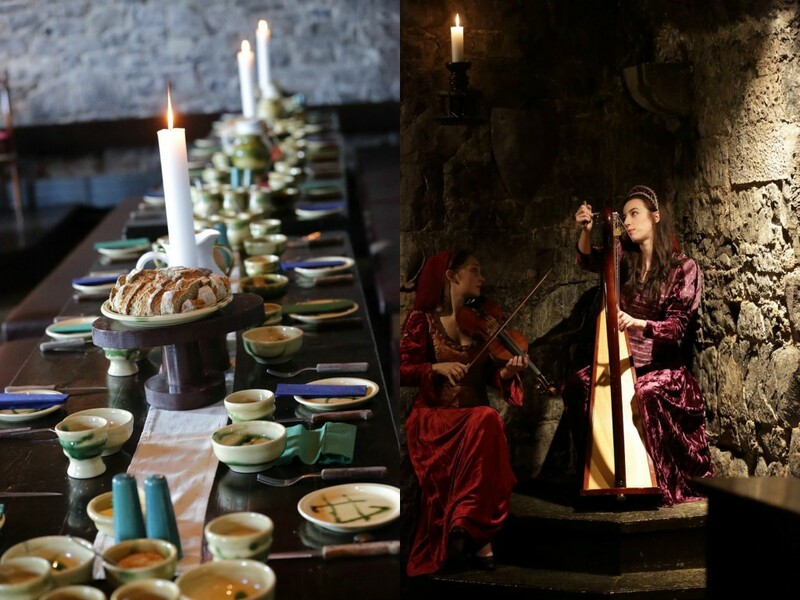 A delicious rustic feast and Irish music followed the pre dinner cocktails in the Medieval Banquet Hall. After dinner, the group adjourned to a traditional Irish pub to continue the celebrations in the nearby village of Bunratty. A terrific way to end a wonderful wedding day in Ireland. 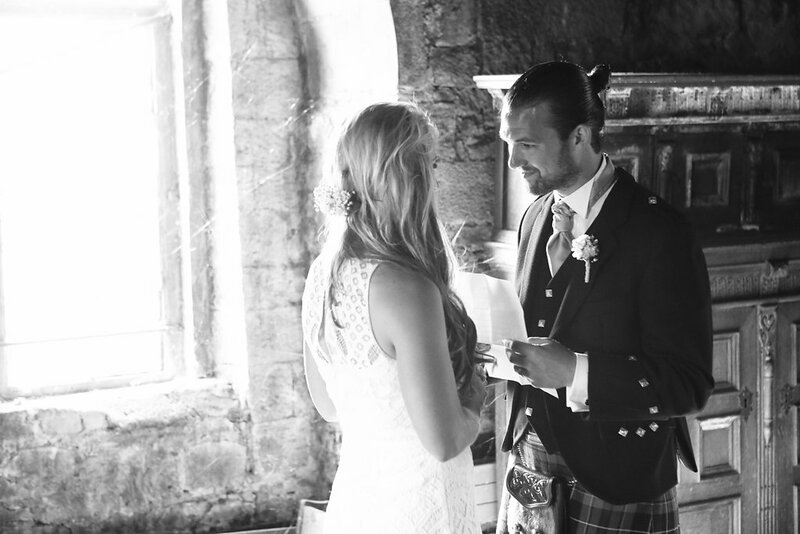 Brianne and Mikael honeymooned in Ireland before returning to the USA. We wish them an amazing and happy life filled with laughter and joy!